Here are my two award-winning weaning and family cookbooks. 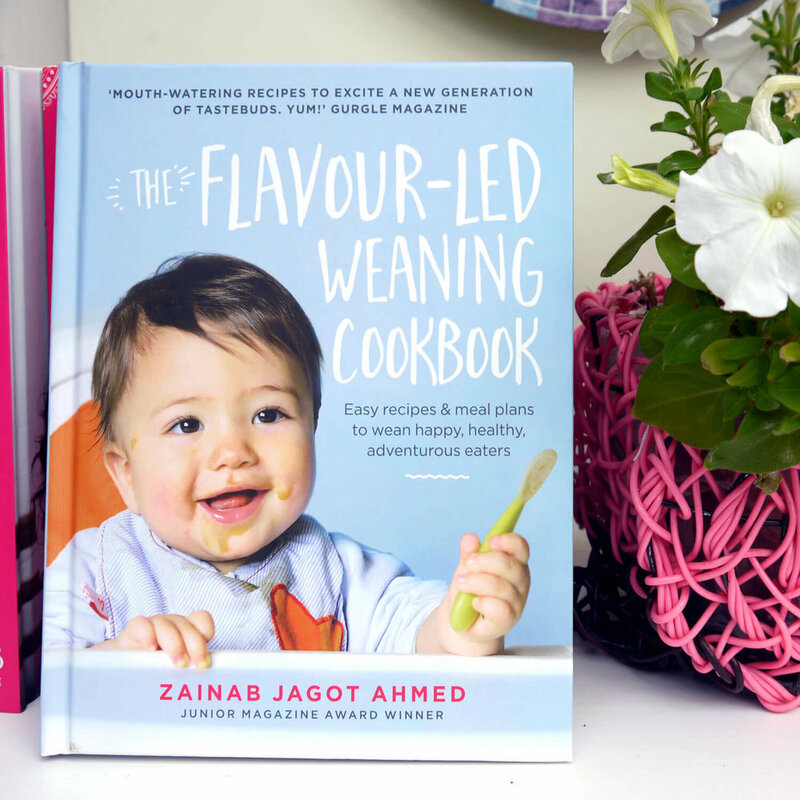 FLAVOUR was super-important to me when weaning my daughter, along with nutrition, and I'm pleased to say these books include both! Try recipes my daughter LOVED, combining a mix of traditional weaning and baby-led weaning techniques. My daughter isn't a fussy eater due to the variety of different cuisines, herbs and spices I incorporated into her diet when weaning, and you can do the same! These books will help you raise a healthy, happy eater. Offers over 100 first-tastes recipes your baby will love. Flavour-led weaning uses baby-friendly herbs and spice as safe, healthy and natural flavour-boosters. It will encourage your baby to love their food from their very first taste. It will show you how to bring a rainbow of colour to your baby's diet. And will ensure your baby gets all the nourishment they need at every stage in their weaning journey. Suitable for babies from 4-6 months old and upwards. Takes flavour-inspiration from Indian home-cooking, combining ingredients naturally full of goodness - 'Super Foods' - with ingredients naturally packed with flavour - 'Super Spices' - to create simple, super-delicious recipes suitable for children from 7 months old. Adding toddler-friendly spices to your child’s meals is a fantastic way to encourage them to love their food. There is no added salt, sugar or chillies in sight as all recipes adhere to the UK Department of Health’s guidelines for weaning and beyond. Mummies and daddies worldwide can also get their hands on my cookbooks. Please check your regional Amazon site or local bookshops to purchase.